Less than a year after first announcing the format, NBC have decided to throw out their plans for a Wizard of Oz-based television drama. 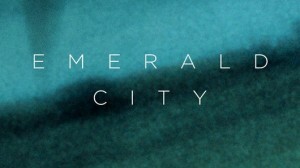 The proposed format, under the title of Emerald City was anticipated to air in 2015, but will now either be consigned to the scrapheap or pitched to new suitors following the network’s decision. The news coming just over exactly 75 years on from the inaugural premiere of the famed Technicolor film in 1939, it will not make a happy anniversary for those involved in the project and fans of the franchise, having anticipated a 10-episode order of the show but now see the idea hanging in the balance. NBC’s cancellation is believed to be the result of being unable to agree a ‘shared vision’ with producers Matt Arnold & Josh Friedman, meaning the straight-to-series order is left with nothing to show for it at present.